Part of every soldiers exercise or ops kit list is a waterproof notebook and pen. 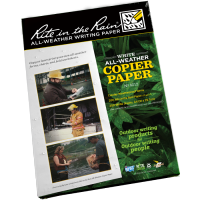 If you’ve been searching for an all-weather tactical notebook that will make it easier for you to get work done in all weather conditions – even in the pouring rain – the Rite in the Rain Pocket Notebook is exactly what you’ve been looking for. 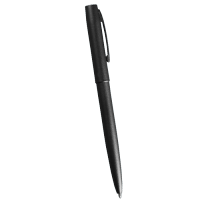 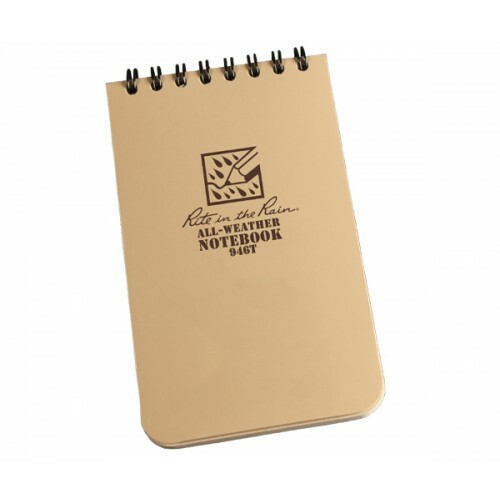 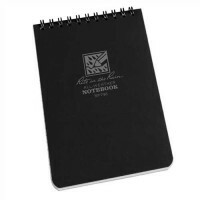 A handy 4 x 6 size that fits in your smock pocket, this waterproof notebook is an essential item you’re not going to want to live without. 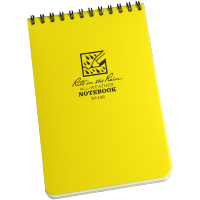 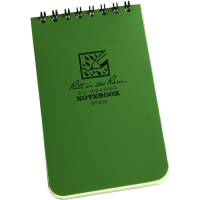 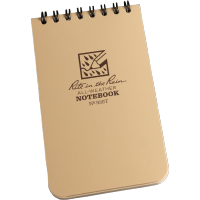 The Rite in the Rain Pocket notebook features universal patterned pages on waterproof paper, and a tan Polydura cover with top wire-o spiral binding. 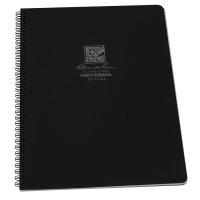 With handy reference guides printed in the inside covers and pages that won’t tear, this all-weather tactical notebook really is a useful item that will keep you powering on no matter the weather.